Grant Dees says his dream is to become a professional bass fisherman someday. Dees and his fishing partner, Ben Freeman, got a jump start on that goal last week in the Mossy Oak Fishing Bassmaster High School Series National Championship. Grant, a senior at South Pittsburg High School. While he’s from South Pittsburg, Grant actually fishes for the Grundy County Bass Fishing Team. 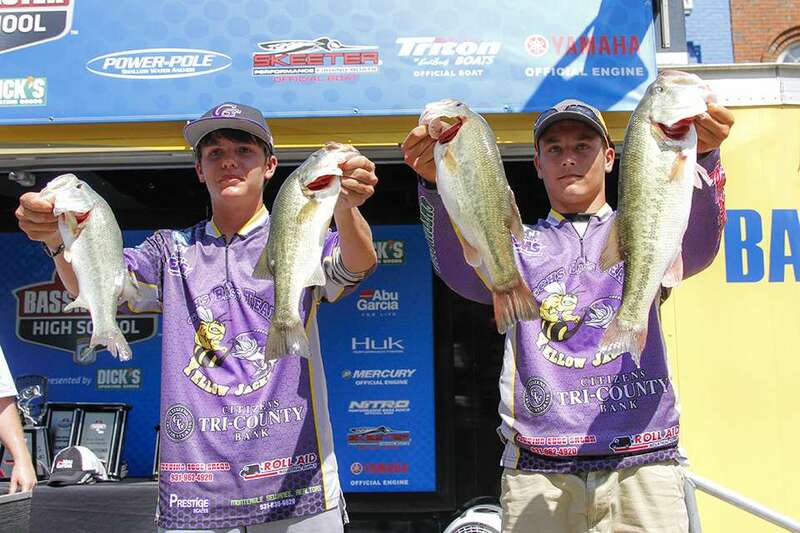 This isn’t the first time Grundy County bass fishing coach David Lowrie has produced top anglers on the hogh school circuit. Kyle Ingleburger & Kyle Palmer, known as “Team Kyle”, won the 2016-2017 Tennessee BASS Nation High School Points Champions last year. He knows it is a long, hard road from a high school bass team to the professional bass circuit. But he’s watched as others in the area have traveled the road successfully and hopes he can repeat the process.